It's not every day you find business opportunities that are rewarding financially as well as emotionally. That's one of the many special things about Comfort Keepers, a leading provider of in-home care for seniors and other adults requiring additional care in daily living and related services. The care typically is provided in the client's home (but may also be provided in other facilities), includes companionship, meal preparation, light housekeeping, grocery and clothing shopping, grooming and assistance with recreational activities. 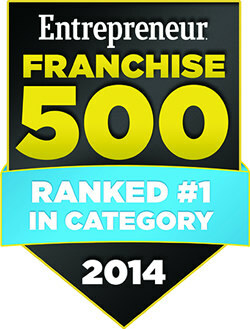 Rated a "World-Class Franchise" by The Franchise Research Institute and Ranked #1 in Category by Entrepreneur Franchise 500 in 2014 with more than 15 years of experience and accomplishment. We are a superior choice for capitalizing on the rapidly growing senior care market thanks to its highly regarded brand, unsurpassed operational system and tremendous support resources. For over a decade, we have established our brand as a recognized and trusted leader within the senior care business - a clear strategic advantage for our franchisees. We have a well-developed operations system providing a framework for systematic franchisee start-up, on-going support and continued training along the growth curve. Whether you have experience in the health field or simply want to make a difference in the lives of people in your community, you will become, like so many of our franchisees, a local leader who enjoys firsthand the rewarding business of helping others. We work with you to design an effective territory based on general population, senior population over 65, and average household income demographics. Ready - During the "Ready" phase, new franchisees will work with a Business Coach to create a Business Plan, get acquainted with Comfort Keepers systems, as well as complete online coursework to prepare them for their time at corporate headquarter in Dayton, Ohio. This phase of the training will be highly interactive with attendees having the chance to immerse themselves in practice situations. 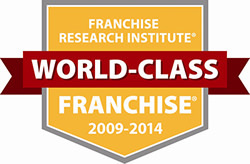 Go - The "Go" phase of Franchise training will involve one-on-one coaching between the franchisee and their Business Coach. This will involve follow-up calls as well as visits to encourage rapid growth of new and transfer franchises. Training and Support is not an event for Comfort Keepers... It is always ongoing! If you are interested in learning more about our opportunity, fill out the form today! Comfort Keepers is currently accepting inquiries from the following states: Alabama, Alaska, Arizona, Arkansas, California, Colorado, Connecticut, Delaware, Florida, Georgia, Hawaii, Idaho, Illinois, Indiana, Iowa, Kansas, Kentucky, Louisiana, Maine, Maryland, Massachusetts, Michigan, Minnesota, Mississippi, Missouri, Montana, Nebraska, Nevada, New Hampshire, New Jersey, New Mexico, New York, North Carolina, North Dakota, Ohio, Oklahoma, Oregon, Pennsylvania, Rhode Island, South Carolina, South Dakota, Tennessee, Texas, Utah, Vermont, Virginia, Washington, Washington, D.C., West Virginia, Wisconsin, Wyoming.